Sometimes squirrels are annoying, and sometimes they're just cute. This time: cute. 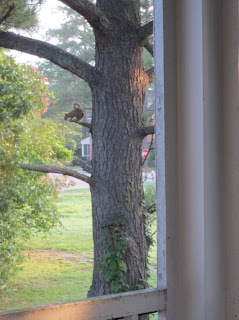 Good morning, little curly-tailed squirrel. I think I'll name him Ralph.